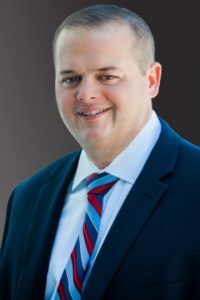 Richard Rich became the Chief Operating Officer for SouthWest Water Company in June, 2018. As COO, Richard is responsible for driving strategic prioritization and accountability within SWWC, with a focus on operational excellence in SWWC’s core values at each business unit. SWWC’s core values are providing exceptional customer service, being environmental stewards by providing safe drinking water and wastewater services, maintaining a culture of safety with continuous improvement, ongoing community partnerships, employee success, and creating value for our shareholder. Richard has nearly 20 years of experience in the water and wastewater industry. Since beginning his career with SWWC in 2000, Richard has learned the company’s operations inside and out, holding a myriad of positions including Meter Reader, Utility Operator, Customer Service Representative, Office Manager, General Manager, Production Manager, Finance Director, V.P. Regulatory Affairs and most recently Managing Director of Suburban Water Systems, SWWC’s largest business unit. In addition to working in California and Oregon, Richard has also worked at SWWC’s corporate office in Sugar Land, Texas and a previously owned business unit in New Mexico. Richard is a graduate of the University of New Mexico, and holds an MBA from University of Southern California. He is a past Director for both the Main San Gabriel Basin Watermaster and Central Basin Water Associations, and currently serves on the Board of Directors for both California Domestic Water Co. and Covina Irrigating Co.